STAY TUNED for the next SBS this November. Registration will probably open some time in October. Every year American Express runs a promotion on the Saturday after Thanksgiving called "Small Business Saturday". This year that falls on November 29th. You MUST REGISTER your card before you use it on Small Business Saturday. Registration for that begins on NOV 11th and it can fill up so doing it sooner than later is best. I'll post a link on Nov. 16th to where you register your cards, so check back then! American Express will credit your credit card account $10 when you make a purchase at a small business for at least $10. You can do this 3 times with each credit card you have. So it's essentially free money! Now there's a strategy behind getting the most out of this promotion. Small businesses! Take a look at this map for participating locations. My area shows about 100 restaurants, 50 services, etc in the area that are participating. Last year I redeemed for gift certificates at Cold Stones (not eligible this year), a local pizza place, and another restaurant. I like the restaurants the best for sure. The purchases have to be on Saturday November 29th for the promotion to work. Well, if you want to maximize the promotion the best thing to do is go to a small business that sells GIFT CERTIFICATES that can be used at that store or restaurant. That way you can purchase gift cards in $10 increments so 1) you end up not spending anything and 2) you can go to the store or restaurant in the future whenever you want. Don't have an American Express Card? 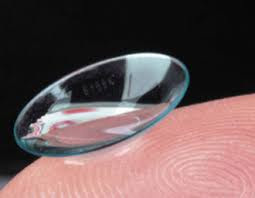 or only have 1 or 2? 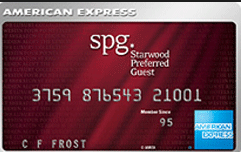 AMEX SPG - you can get a nice 25,000 bonus and the annual fee of $65 is waived the first year. 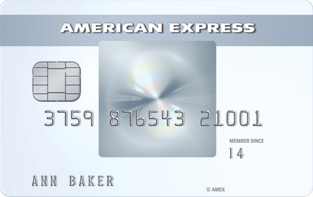 AMEX Everyday - you can get a 10,000 bonus and there is NO annual fee. Of course there are many other cards available. Another way to get more out of this promotion is to add "Authorized users" to your existing accounts. You can add as many authorized users as you want and each authorized user can get up to $30 from the promotion. Questions? Have fun getting free stuff! Well dang, I wish I knew about this last year. I'll have to try and remember to take advantage of it this year.